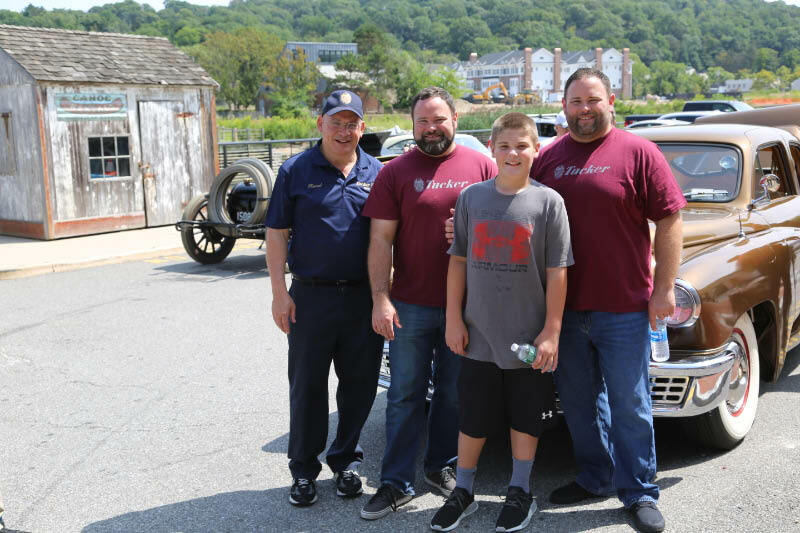 Meet Sean Tucker, Mike Tucker, Rob Ida and me at the Tucker 1044 Open House on Sunday, February 24, 2019. There are all sorts of conspiracy theories that find our way to us. Virtually all of them consist of “My Turboencabulator gets 100 mpg on pure water, but Big Car doesn’t want it to happen!” Virtually all of them are terrible hokum. Except one. It really did happen. Once. With the Tucker 48. Wait, hold on. Let me back up. First we need to explain what the Tucker 48 even was, and why “a very powerful group” wanted it dead. As the smoke cleared after World War II, and the conspicuously not-heavily-bombed United States came to dominate the global economy, American drivers needed some new wheels. It was a new age, but the first cars we got were decidedly old-fashioned. General Motors’, Ford’s, and Chrysler’s lineups were all composed of holdovers from before the war began. They would come out with refreshed cars soon enough, and surely, the American populace would buy them. What If The Big Three Hadn't Torpedoed Tucker? But for Preston Tucker, this was not enough. He didn’t think drivers deserved a refreshed car, or one that even suffered from the dreaded nadir of Old Ideas. And since the Big Three weren’t going to give Americans one, he decided to deliver it himself. His car was going to have its engine in the rear, for more efficient packaging. It would have advanced safety innovations like a padded dashboard, a headlight that turned around corners, and an integrated roll bar. But this wasn’t just the 1940s equivalent of a rolling airbag; it had other, thoughtful features as well, like doors that were cut into the roof for easier entry and exit, and a separate key for the parking brake to help prevent theft. It was, in short, brilliant. And very much the revolution the American car industry so desperately needed. But as so often with the powerful and the smug and the well-entrenched, they didn’t take so kindly to the revolution. In came the accusation that these bold claims were too bold. That they were too much to ever be real, for Tucker to pull them off, that he wasn’t trying to change the world; he was accused of scamming. Preston Tucker’s troubles with regulators persisted, and on June 10, 1949, he and seven other company executives were indicted for fraud and conspiracy. Simply put, the SEC thought Tucker should be able to back up all his optimistic advertising claims with a real working product. But on May 28, 1948, the Securities and Exchange Commission began a secret investigation into whether Tucker really meant to build a car, or just line his pockets. The story was leaked to [broadcaster Drew] Pearson and the company stock plunged again. On June 10, 1949, as workers struggled to build the first 50 cars, Tucker was charged with fraud. He and seven associates were indicted on 31 counts, including fraud, conspiracy and violations of SEC regulations. 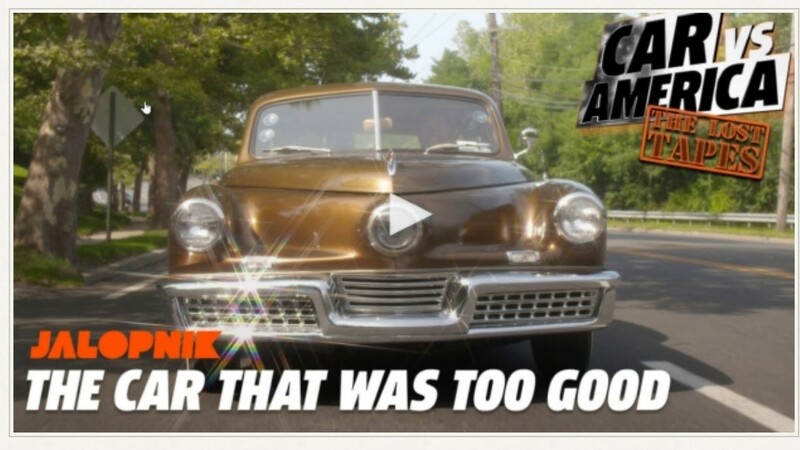 The government called witness after witness, desperately trying to prove that Tucker had swindled investors and would-be customers, that the Tucker 48 wasn’t real, and Preston Tucker himself must be stopped. The government rested its case. It was time for Preston to mount his defense. While researching my book on Preston Tucker, I came across a curious notation in an index to the Tucker files at the National Archives in Chicago. There was a “sealed deposition,” with no other description. I spoke with an archivist who told me he would pull it and tell me more about it. All he could tell me was that it was a deposition of Joseph Turnbull and that it had been sealed by a Federal Court order. It would take another Federal Court order to open. I knew who Turnbull was, of course. He was the “accountant investigator” who had been the final prosecution witness in Preston Tucker’s famous trial. While the prosecution had promised he would be the final nail in Tucker’s coffin, his testimony had not been as devastating as the prosecution had hoped. In fact, it was after Turnbull’s testimony that the defendants all agreed to waive calling any defense witnesses and simply proceed directly to closing arguments. “It is impossible to present a defense when there has been no offense,” Tucker’s lawyer said at the time. In closing, he asked the jury if they wanted to try driving any one of the eight Tucker 48s outside the courthouse. The jury returned a not-guilty verdict on every single charge. But it was too late. The Tucker Corporation was dead. 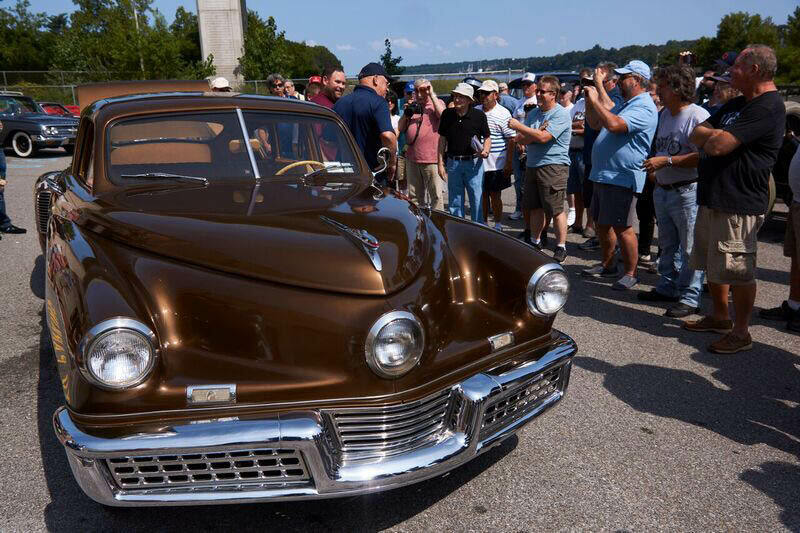 Only about 50 Tucker 48s were ever built. Today the precious few left rest in the hands of careful caretakers like Howard Kroplick, who lovingly takes care of his Tucker 48, and very kindly let us borrow it for a short spin. And funnily enough, it came with Sean and Mike Tucker themselves. The fascinating story of Preston Tucker and his incredible machine could fill a whole movie (it did), but just watch the vid above. 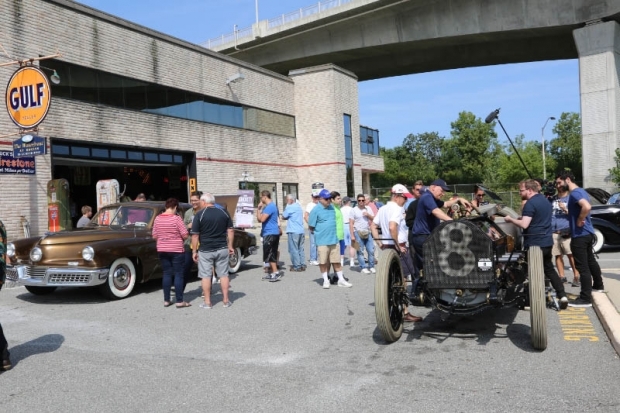 It’s one thing to talk about the car as a historical object, or as a David vs Goliath story at the dark heart of America’s manufacturing golden age. It’s another thing to see one of these machines on the road, and to hear its giant flat six, a helicopter engine, run like nothing ever went wrong.